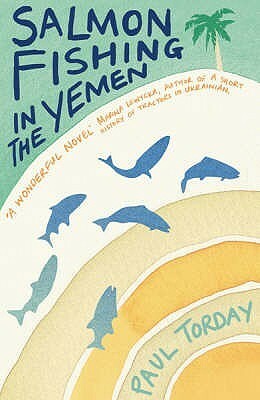 Presented as a collection of official documents, interviews, emails, and the like, Salmon Fishing in the Yemen (now a movie of the same name) is an ambitious book. The author attempts to tell the story of a British fisheries scientist tasked with building a salmon run in Yemen while pondering the nature of god and a lot of other existential type questions. The book definitely fell short in the latter respect, and I feel like the soul searching questions were definitely to the detriment of what could have been a pretty engaging story. For me, this was an OK book – I read it quickly and enjoyed doing so, but in the four or five days since I’ve finished, I’ve mostly forgotten about the characters. Here, I think that the device of using documents and journal entries to tell the story fell flat. This approach allowed the reader to see different points of view, which was certainly welcome in the earlier chapters, which were limited by Fred’s mostly boring thoughts. However, reading interviews and letters about events that happened didn’t allow for the type of heavy character development that the book needed to support the heavier existential material that came later. If you see the book lying around – in a beach house, or while you’re on vacation, and have somewhat limited reading options, I would say go for it. It’s enjoyable, a quick beach read type of book, but otherwise, I would recommend skipping this book. The movie might be better, but I’m not really sure that I care enough to find out? If you are still interested in this book, even though I doubt you are, check out the rest of the review here!